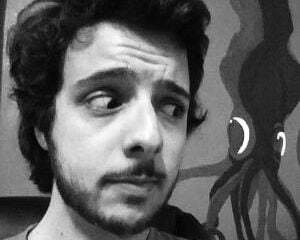 The first-person No Man's Sky comes with a scanner that'll make Metroid Prime heads feel at home. Given that the functionally infinite amount of planets all have unique animal and plant life, there's a lot of crap to scan and discover. 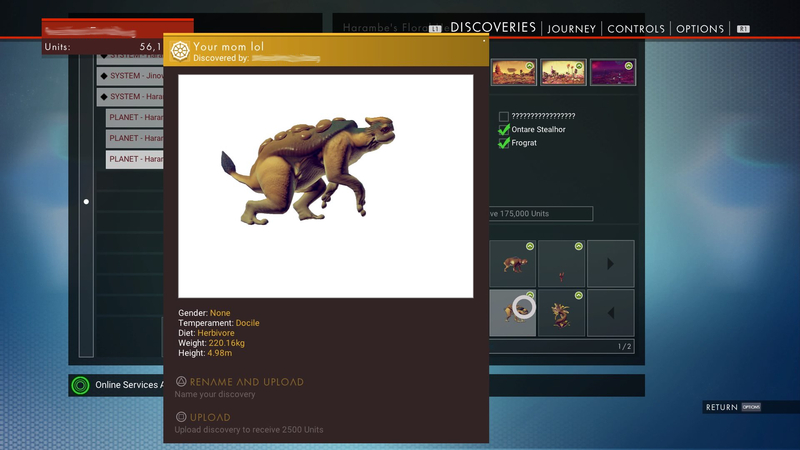 Last night Hello Games' Sean Murray noted that players discovered 1 million new species in the first hour of release and over 10 million overnight; or, "more than has been discovered on earth," as Murray framed it. For instance over night we hit 10 million species discovered in NMS... that's more than has been discovered on earth. One such discovery, pictured above, is Your mom lol.